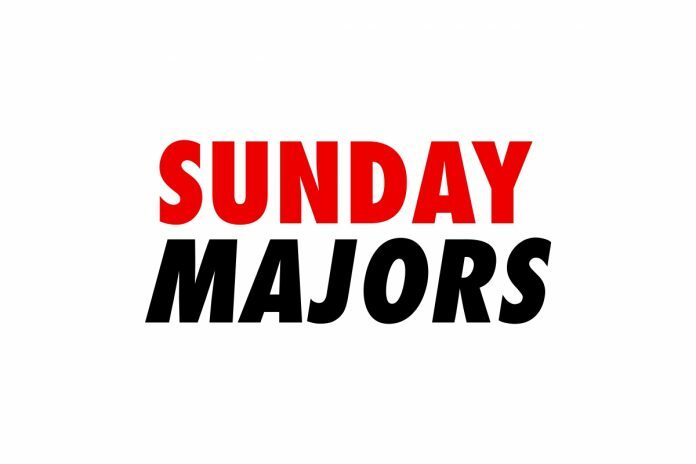 'blackaces93' takes home $143K and the Sunday Millions title after a chop this week. A four-way deal was agreed in this week’s PokerStars Sunday Million with Brazil’s ‘BrunoBoucas‘ going on to take the title after a heads-up battle with Jonas Palsgård. A prize pool worth $1,172,000 was created after 5,860 entrants took part in the $215 event, and when just four players remained, they agreed to a money deal. ‘2late4play‘, who qualified for the tournament via a $22 satellite, was the first player to exit the final table post-deal and collected $79,904. Next up to exit was ‘reidir‘ who took away $101,244 in third place and that left ‘BrunoBoucas’ and Denmark’s Palsgard to play it out for the remaining share of the prize pool and the title. Former Sunday Warm-Up champion Palsgard, who also took second place in the Warm-Up just weeks ago, was the final player to fall and banked $102,870 for his share of the deal, which left ‘BrunoBoucas’ to take the honor of the title and $117,883. The U.K.’s ‘simon1471‘ defeated ‘AaronBeen‘ heads-up in the PokerStars $530 Bounty Builder High Roller and banked over $55,000. The final two was set after ‘107dalmatass‘ fell in third place for $13,991.94 + $2,402.35 (in bounties), and it was ‘simon1471’ who won $25,993.55 + $29.552.67 after they eliminated two-time Super Tuesday winner ‘AaronBeen’ into second place for $19,070.83 + $2,052.73. The Netherlands’ ‘etxnl01’ negotiated a field of 60 players to claim the PokerStars $2,100 Sunday High Roller title along with $37,286. There was an $80,000 guaranteed prize pool this week, but that was smashed after $120,000 was collected. Russia’s no. #1 ranked player ‘hello_totti‘ fell in third place for $17,752 before Koukouris ‘hateblondies’ Spiros took the silver medal for $23,465, which allowed ‘etxnl01’ to pick up the win. ‘akron911112’ took down the PokerStars $215 Sunday Warm-Up for $27,353 after they came through an 819 player field. ‘zhengxs’ was the player to fall during heads-up play and took away $19,666, as ‘Olorionek’ banked $14,140 in third. There was a $60,000 prize pool in the partypoker $2,500 Super Sunday High Roller after 24 entrants stumped up the entry fee. The top three places were paid and it was ‘mwhldwn‘ aka ‘Bencb789’ who took the spoils for $30,000. Jon Van Fleet was the final player to be eliminated and he took away $18,000 in second place after world no. #1 ‘Drulitooo‘ exited in third for $12,000. Fabrizio ‘DrMikee’ Gonzalez just missed out on victory in the partypoker $1,050 Super Sunday Deepstack-HR after ‘megustaestrecha’ pipped him to the post. ‘pelicangirl‘ came third in the 97 player field for $12,500, and there was also final table finishes for Patrick Leonard in 7th and current world no.#2 ‘hellmuththegr8‘, who took 8th. Gonzalez banked $17,000 for second place, as ‘megustaestrecha’ took the win along with $24,500. ‘Biack88‘ was this week’s 888poker ‘Whale’ winner for $20,000 after they won the final battle against ‘backdown8‘. The $50,000 gtd prize pool was just missed after 49 entrants took part, with the top five places paid. ‘Farrugia_1‘ and ‘DaFuucha‘ cashed before Sweden’s ‘cuadrado12‘ pocketed $7,500 in third. ‘backdown8’ collected $13,500 for their second place finish as ‘Biack88’ collected the $20,000 top prize. Last but not least, ‘shadinho888‘ won the 888poker $215 Sunday Mega Deep after they outlasted the 246 player field and collected $15,187. The U.K.’s ‘Beesley1986′ took second for $11,625 and ‘DuduPa1986’ cashed for $8,625 in third.